Order this product in the next 10 hours 47 minutes and it will ship TODAY! Drew Backenstoss LIVE ACT (Instant Download) SUPPORT LIVE MAGIC. RESERVE BEFORE SUNDAY AND SAVE. This product is expected to ship on April 28th. You may reserve a copy now and it will ship to you when it arrives. 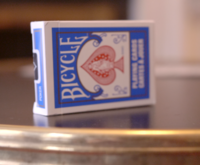 Timothy Krass LIVE ACT (Instant Download) SUPPORT LIVE MAGIC. RESERVE BEFORE SUNDAY AND SAVE. This product is expected to ship on May 5th. You may reserve a copy now and it will ship to you when it arrives. ICB by Yvan Garmy (Instant Download) The ultimate card to box. It fools gimmick experts and sleight-of-hand experts alike. It looks like real magic. START LEARNING INSTANTLY. Gazzo LIVE ACT (Instant Download) SUPPORT LIVE MAGIC. START LEARNING THE FULL ACT TODAY.